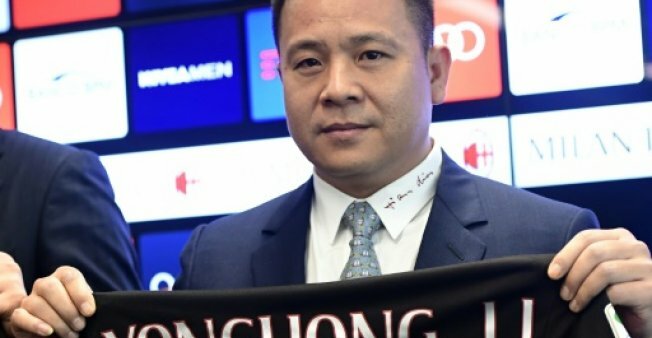 Li Yonghong emerged from obscurity to purchase one of Europe’s most high-profile and decorated football clubs from former Italian prime minister Silvio Berlusconi in 2017. He was one of dozens of wealthy Chinese investing in or simply buying up some of the sport’s biggest clubs after President Xi Jinping declared he wanted to turn China into a football superpower. But Li’s control of AC Milan was plagued from the start and this summer a creditor took over the club. The order from the Jingmen City Intermediate People’s Court in central China this autumn, made public in October, is the latest indication of Li’s declining fortunes. Li was on the hook for 60 million yuan ($8.7 million) in unpaid debt to a Hubei province investment company, and a 12 million yuan ($1.7 million) penalty, according to the court. But the court found no assets to seize and repay the creditor as Li had no bank deposits or cars registered in his name. Instead, Li’s name was added to China’s national blacklist of untrustworthy individuals, which restricts people from travel by high-speed train and airplane, staying in pricey hotels, or getting a credit card. As a Hong Kong resident, Li’s passport was ordered confiscated and he was prohibited from entering or exiting China, though his current whereabouts are unknown. The $740 million deal for AC Milan faced payment problems, with Li’s bid secured only by a last minute, high-interest loan from a US hedge fund. In July, Li’s group was unable to repay the loan and the hedge fund Elliot Management took control of the club.